First, check that your smartphone or tablet is wirelessly connected to the DIR-505. Sometimes these devices switch wireless networks without notifying the user. 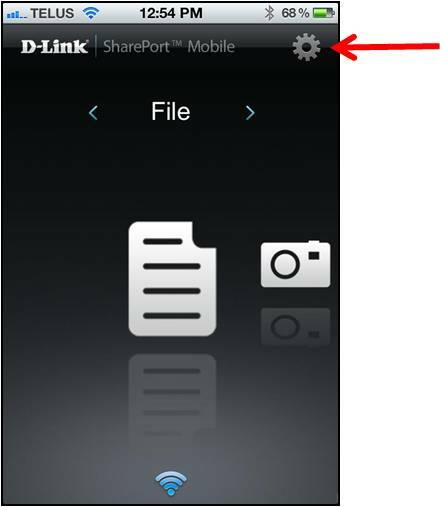 Next, in the SharePort Mobile app, tap on the Gear icon in the top-right corner to access the SharePort Settings. 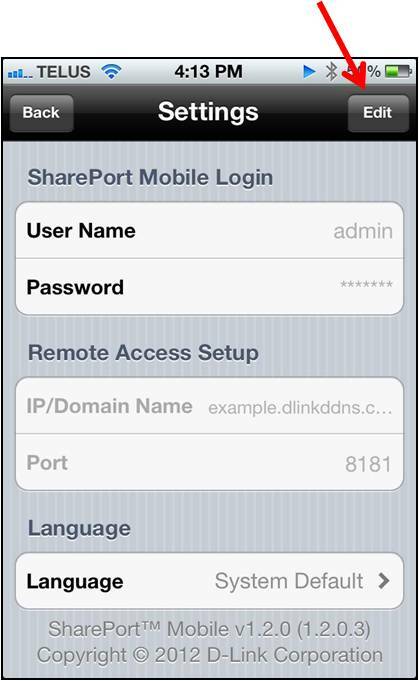 If you are still unable to view the contents, reboot your device and open the SharePort Mobile app again.